Born on January 2, 1899 in New York City as one of 12 children, Horace McKenna was educated at Fordham Preparatory School. He entered the Society of Jesus at St. Andrew-on-the-Hudson on July 30, 1916. While teaching at a Jesuit school in Manila, Philippines, he discovered the desperate needs of the poor and oppressed. 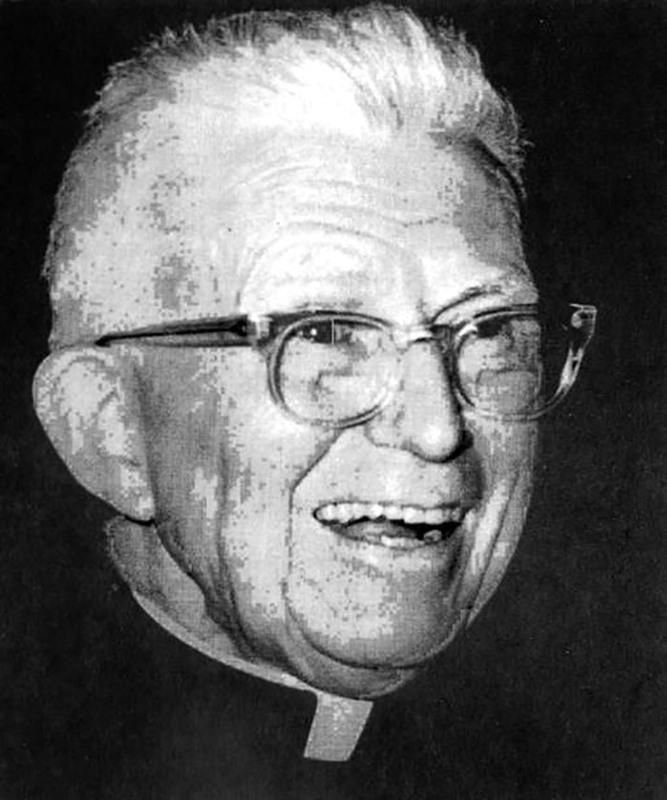 He was ordained June 23, 1929 and requested an assignment to parishes in Southern Maryland amidst poverty and segregation including St. Peter Claver’s Church, St. James’ Church, St. Ignatius’ Church, and St. Inigoes’. Here he began his ministry of healing and reconciliation. He sought to break down racial segregation and lift up the lives of African Americans in his community. Fr. McKenna continued this work at St Aloysius in Washington, DC from 1953 to 1958. Then he spent six years at the Church of the Gesu in Philadelphia. In 1964, he returned to St. Aloysius where he remained until his death in 1982. Fr. McKenna worked tirelessly throughout his time in Washington, DC for the rights of the poor. Many of the area’s organizations serving the disadvantaged have ties to him. He and his legacy touch thousands of lives in the DC region every year. He founded SOME (So Others Might Eat), a soup kitchen, clinic, and jobs center, and co-founded Martha’s Table which serves low-income families in the lower Columbia Heights neighborhood. He was also instrumental in the development of Sursum Corda Cooperative, a low-income housing project in the block just north of St Aloysius Parish on North Capitol Street. In 1983, in honor of the legacy left by Fr. McKenna, St. Aloysius parish opened the Father McKenna Center in the basement of their church. His love for those in need is present and active today in the continuing mission and work of the Center that bears his name. We are blessed to have members of Fr. McKenna’s family serve with us regularly as volunteers, and to have members of our community who knew him personally. It’s our privilege to bear the responsibility of his legacy, providing help and accompaniment to the poor of our community and men experiencing homelessness.